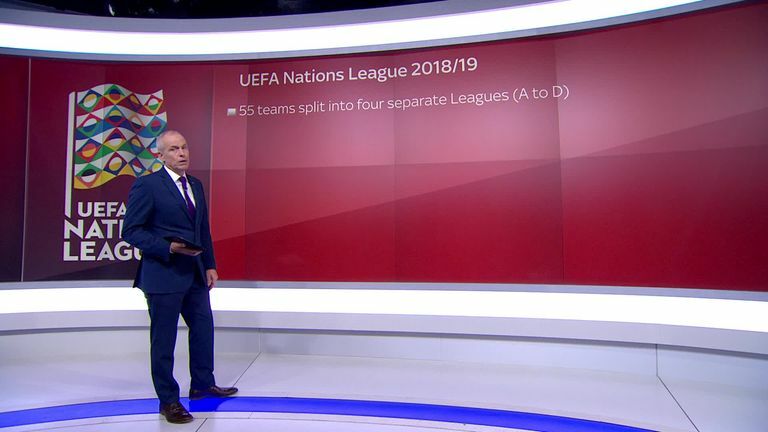 Croatia, Spain and Belgium are all in UEFA Nations League action on Thursday, and you can watch every game live on Sky Sports. England will be in friendly action on Thursday, but there is a huge clash in Group A4 as Croatia host Spain with qualification still very much up for grabs. Luis Enrique's side will make it to the finals if they beat Croatia, who need to win both November games to make it through as they currently sit bottom of the table with the game live on Sky Sports Mix and Sky Sports Premier League from 7.40pm. In Group A2, Roberto Martinez's Belgium host Iceland as they look to extend their lead over second place Switzerland with the match from the King Baudouin Stadium live on Sky Sports Mix. Bosnia and Herzegovina are unbeaten in their last eight games and travel to Austria in Group B3 with Greece hosting Finland and Hungary facing Estonia in Group C2. All three games are live on the Sky Sports Football red button. Kazakhstan's Group D1 match against Latvia will kick off at 3pm live on Sky Sports Football, with group leaders Georgia travelling to Andorra later in the evening (7.45pm live on the Sky Sports Football red button). Finally, in Group D2, Luxembourg and Belarus will go head-to-head for top spot while Moldova - who can still claim a qualification place - travel to San Marino and you can watch both games on the Sky Sports Football red button. England will host the USA at Wembley in The Wayne Rooney Foundation International, where the country's all-time top goalscorer Wayne Rooney will earn his 120th and final cap live on Sky Sports Main Event from 7pm. Northern Ireland make the short trip to Dublin to take on the Republic of Ireland in an international friendly, which you can see on Sky Sports Football. Before that at 5pm, Poland will welcome the Czech Republic also live on the channel. Germany will be looking to get their form back on track after successive defeats to the Netherlands and France as they host Russia. Other friendly fixtures include Iran v Trinidad and Tobago (2.30pm) and Israel v Guatemala (6.15pm).